You've seen them through your eyes. Now imagine the way this hockey team looks through his. 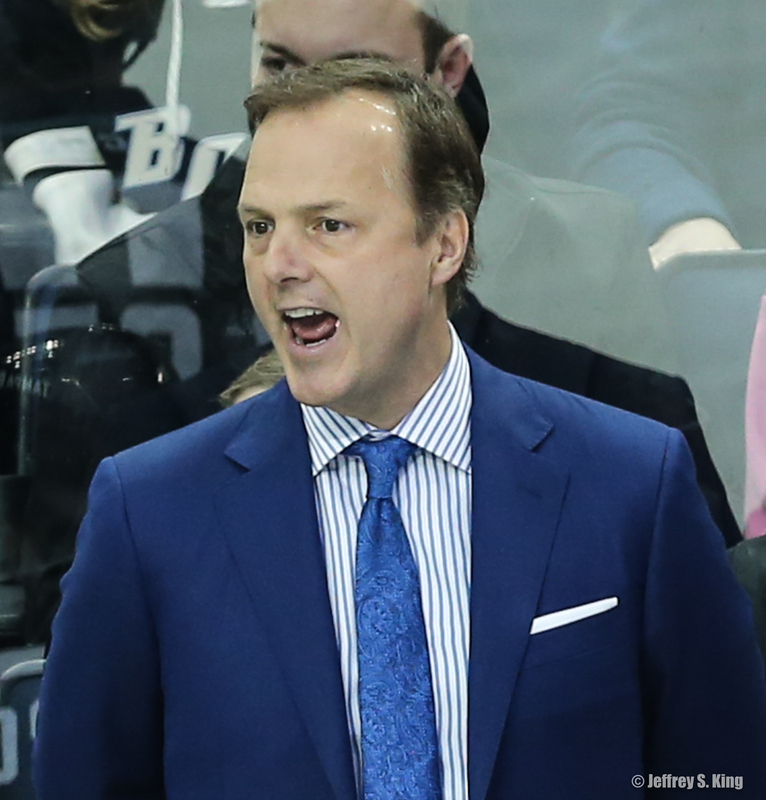 Imagine Jon Cooper, who must have thought he had discovered a short cut to the playoffs coming into this season. Imagine the weight of expectations on the man in charge. Imagine it when the Lightning no longer looks quicker than everyone else, smarter than everyone else. For the rest of us, most of this season has been a flashback to the Oren Koules days. The goaltending hasn't been efficient until lately. The defense looks five years slower than it did a year ago. The offense has been running on duct tape and spackle for most of the season. wrong stop? Have the Rugrats taken over? What else can you do? Steven Stamkos is still hurt. Ryan Callahan, too. Ben Bishop has been sent somewhere else. Brian Boyle, too. The fans are not as happy. Yes, some of them, the bloodthirsty ones, wouldn't mind seeing Cooper's head on a post, because isn't that what happens when a hockey team keeps talking about slow starts and a lack of energy? There are 15 games left, and the team is still scrambling to make it to he wild-card line in the standings. Injuries and all, the Lightning figured to be better than this. Is it their wallets that have slowed things down? Was it the desire to get Andrei Vasilevskiy more starts, even though Ben Bishop has always liked a lot of work? Was it a defense that sprang leaks? It doesn't matter. It's a coaches job to get his NHL team to the playoffs, which still has more slots than any other professional league (along with the NBA). Cooper knows that. Still, in some ways, Cooper has had one of his best years. He's kept this team kicking when it looked ready to die by the side of the road. Oh, there are coaches who would whine all day and all night about their shortcomings, about how Stamkos is one of the top players in the league and Callahan provides the grit and Tyler Johnson used to be quicker before he was so beaten up and Braydon Coburn is on fumes and how long it took Ben Bishop to get going. We've had them here in this town, a coach who doesn't want to make excuses for himself, but if you've got the time, he wouldn't mind it if you did it for him. There are other coaches who would throw their hands into the air and talk about the challenge of climbing so many teams to get into a playoff. There are others who would have turned on their players. But Cooper stays calm in the middle of the chaos. He is his team's Tony Dungy, his team's Joe Maddon. He is calm waters, and he believes that trust will get it going. And maybe it will. The Bolts were good in a 1-0 overtime loss to the Rangers Monday night. If not for a mistake -- Victor Hedman, of all people -- with 64 seconds left in overtime, the teams probably go to a shootout. Even them\n, Cooper did not throw his hands into the air. What good is there in that? Instead, the team came back with a big win over Minnesota, then a comeback from a two-goal deficit over Florida. The Bolts finally look interested in their season. There was another season like this, you now. The Bolts were suddenly old in the net, and despite the trio of Stamkos, Marty St. Louis and Vinny Lecavalier, gave up more goals than they scored. After reaching the Eastern Conference title in 2011, it was the second straight year with no playoffs for the Bolts. And Steve Yzerman fired a popular coach in Guy Boucher. Could it happen again? No, not this year. 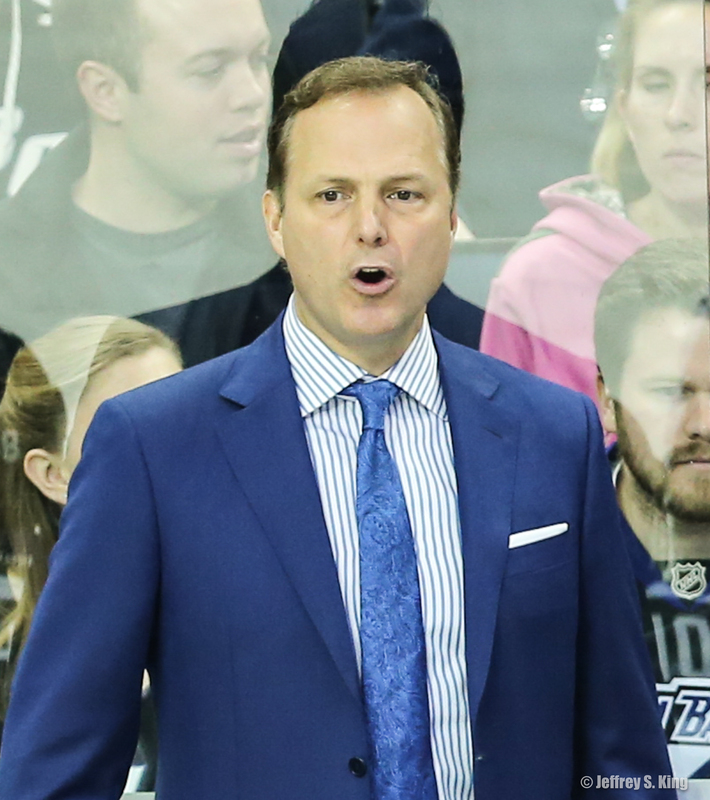 Yzerman has taken care to steer blame away from Cooper. But if it happens again next season? Who knows? Coaches don't get raises for finishing in regular season, do they? And so Cooper looks on. He sees too many minutes going to players who didn't figure to see NHL minutes this year. He sees the entire load on Vasilevskiy. Like everyone, he waits to see if Stamkos can do anything about it. After the last two years – two Eastern Conference finals and a Stanley Cup berth – this is likely to end in disappointment. I'm not sure the Bolts have the muscle to contend for very long in the playoffs even if they do get there. But if you're Cooper, you keep chopping wood. You treat every game like it matters, and you encourage every player to do a little bit more than his resume suggests he's capable of doing. You're Cooper, standing there in the middle of the problems and the noise and the intensity and the wheels that spin from time to time. With less than a month to go, what else are you going to do? It seems like Cooper gets more out of the young up and coming players than he does veterans. Now that the team is loaded with young players they are winning and playing with heart and passion. Not sure what that says about the future but he does know how to coach up those kids who shouldn’t be playing this well. That’s a huge mark in his favor. Next post: Can Bucs buy an insurance policy at quarterback?